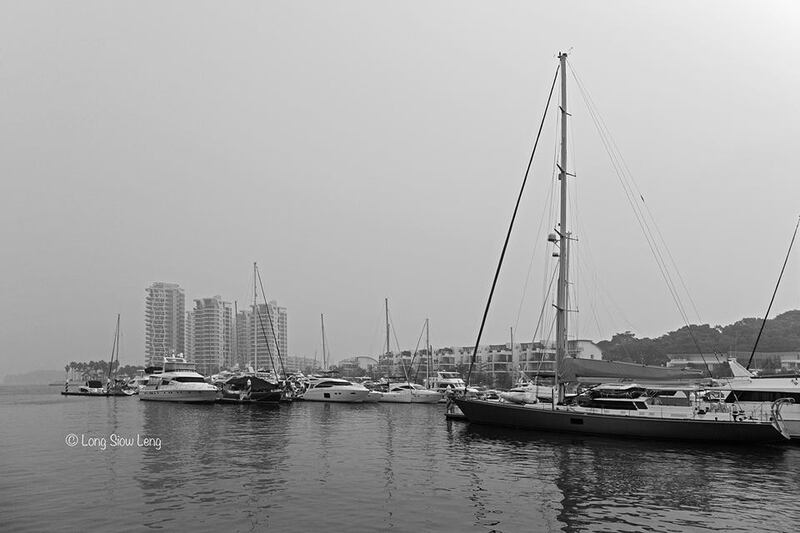 02nd Nov 2015, Singapore – PINK Photographers Singapore (PPSG) took the monthly photo submissions a step further this round and use the annual haze pollution from a neighbouring country as a part of the theme for this submission. 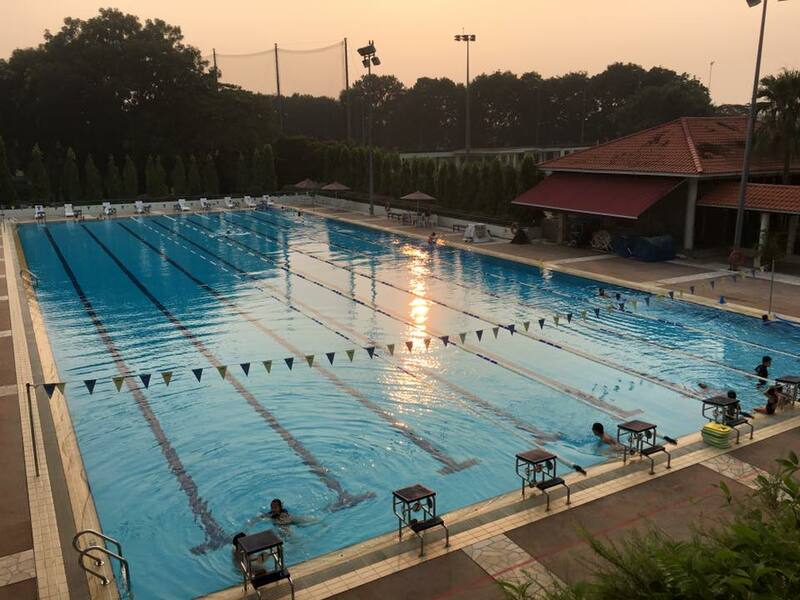 For those new to Singapore, every year, we have a 3rd season apart from the “Sunny Summer” and our “Rainy Monsoon” seasons – the Haze season. Deforestations from burning down the harvested crops nearby Singapore had caused serious haze pollution problems as well as health problems. Visibility is bad, air is thick with pollutants and many fell sick so basically it affected almost everybody. So this theme was not exactly easy for the submission since the haze levels inconsistently and we are at the mercy of the wind directions. And to get nice images with this theme was yet another difficult challenge for many. A total of 97 entries were received and we have picked the below images that best represent this theme. Before we get to the selected entries, let’s hear what the sponsor Serial i-Tech & the Editor AL have to say about the entries. “Instead of hibernating during the annual haze season, we have received interesting entries from the PINK Photographers and also best represent the theme for this round. Good job Ladies! – Gary Ho, Seria l-Tech (Far East) Pte Ltd.
1) Even Toys can’t take it – Image by Alice Chia. 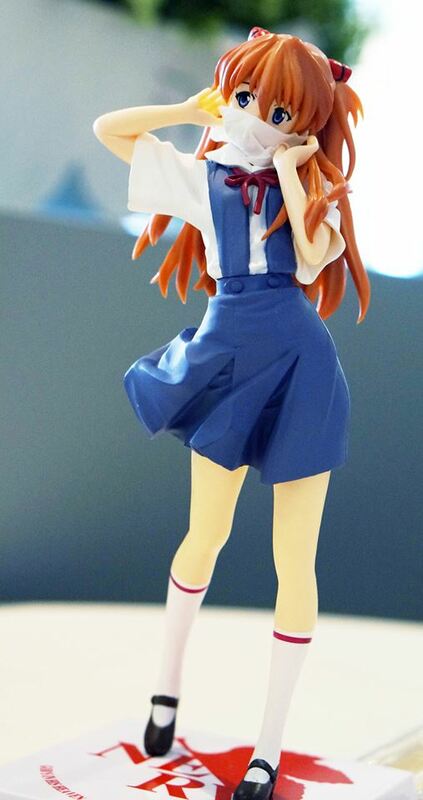 Here’s an interesting image of a toy figurine trying to cover her nose in the haze. This is very creative and relevant, we love it! 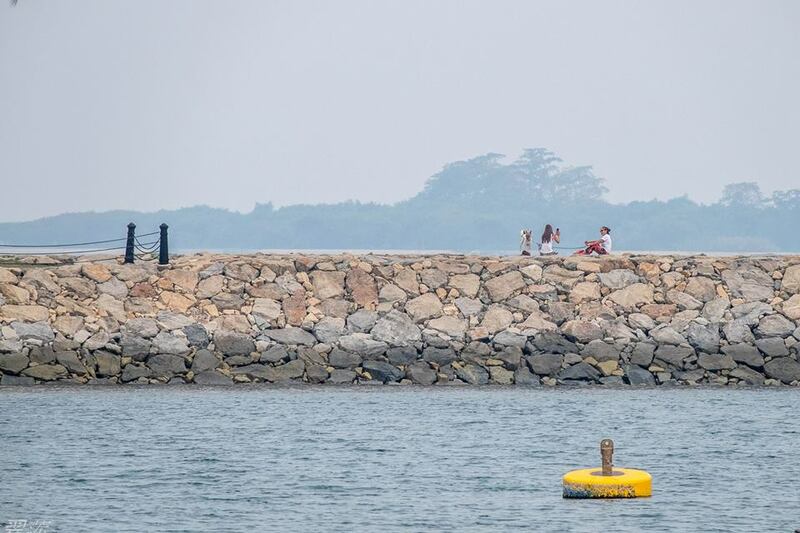 2) Adding more to the haze – Image by Anny Tan. Yes, it’s really bad at one point of time, but religion is religion. 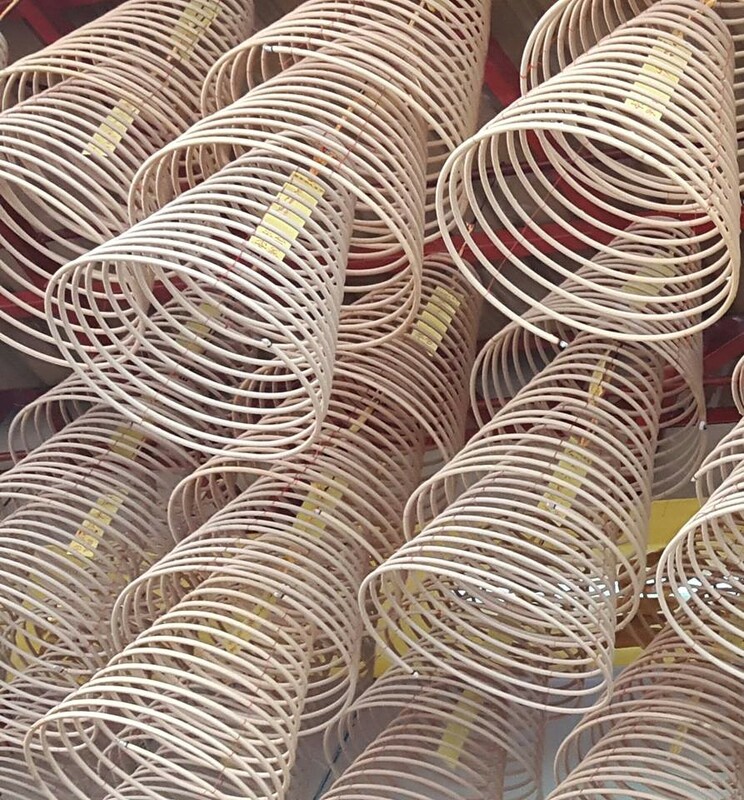 From what we understand, the smoke emitted from the joss sticks is not as bad as what our neighbor gave us. Yes the haze was bad. But life goes on, here’s an image of a couple relaxing by the beach. While the haze hurt the economy a bit, people continue with their lives. Sun rise and sun set during the hazy season can be dramatic and pretty. It’s like adding a “diffuser” onto the sun. Although blurry, the hues that the haze created is worth mentioning. Yes, it’s bad. 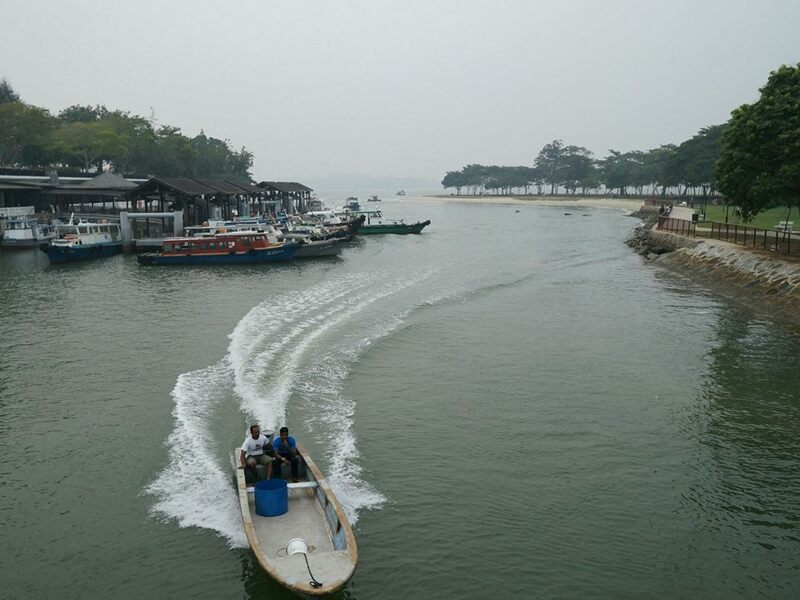 Usually we can see Pulau Ubin from this view and at the time when this image was shot, the island was completely blanketed in a thick haze to the point it is beyond our sight. Another creative approach by Fione, here we have 2 cosplayers in full Stormtrooper outfit and yet their helmet is not able to fully filter out the haze and one of them have to wear an additional mask while helping another trooper to cover his nose. Cute max! Even the tourists attractions are covered in thick haze. 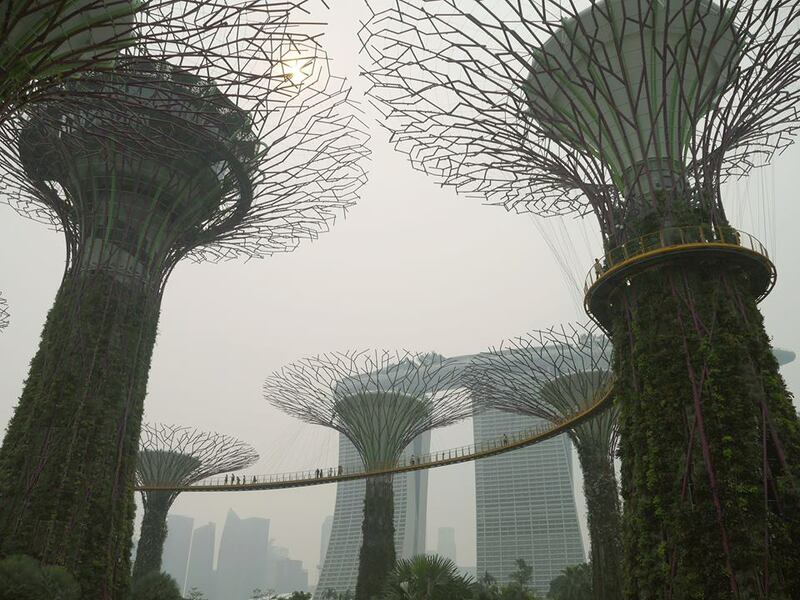 In this submission by Iris Eu, this is an image of Gardens by the Bay with the cityscape in the background but the haze was so bad that this looks more like a burnt forest – I call it Garden by the Haze. 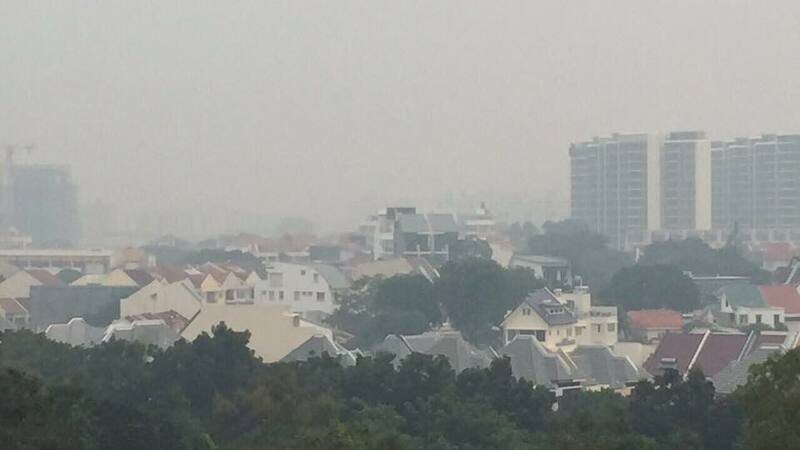 Just how bad was the haze, this year we broke the 2012 record and at its peak, we saw PSI 421 while the culprit-country asked us to complain lesser. Then again, their people are suffering from PSI 2000, so we started complaining about Reserved Seats on MRT. 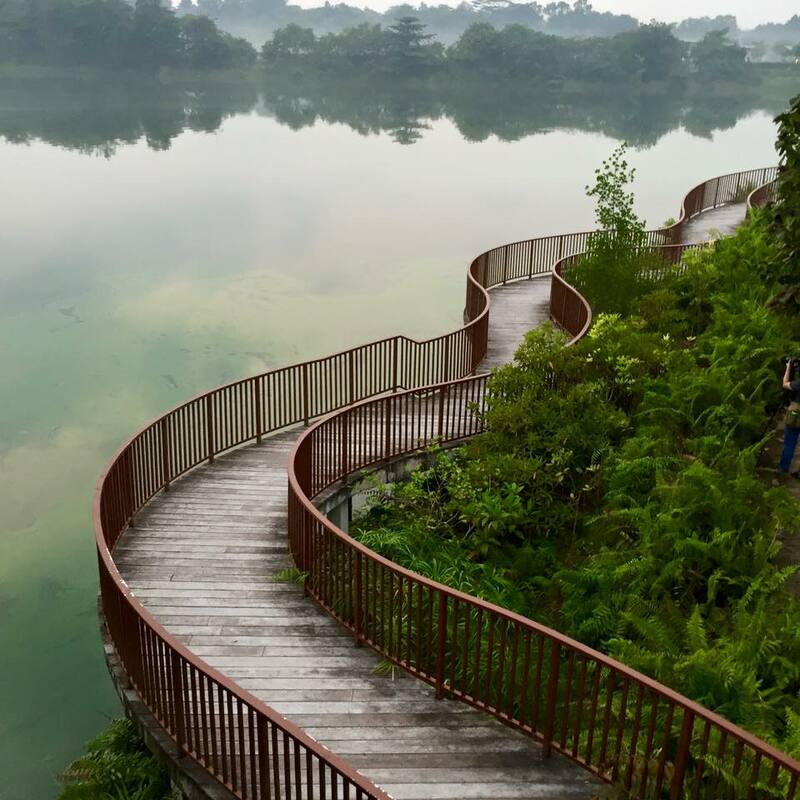 Making use of the haze, Magdalene used it to her advantage and created a really misty morning shot of a park in Singapore. And the haze probably put off people from leaving their house for morning walks so if you look carefully in this image – we only see ghost. Regardless of PSI level, floral and faunas continue to bloom in glory. These are nature’s best statement that man-made disasters are no match for mother nature. Plants are also one of the best “air filter” provided by nature to mankind. So stop burning plantations! The haze added a very calm and yet mysterious feel to this image. Siow Leng’s clever use of the haze and a monochrome rendering gave this photo a deep storyline which is worth a mention here. Nice feel. 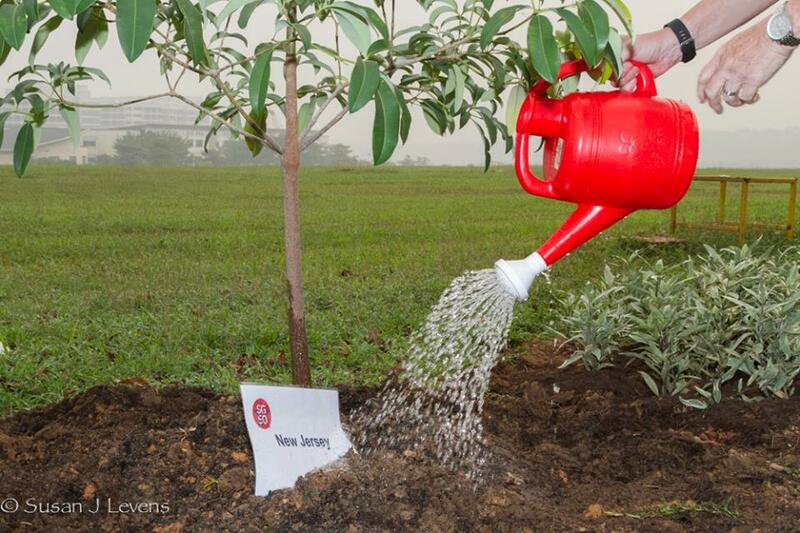 If they keep burning, we keep planting. Although we won’t win, but at least we try. People should start planting and stop burning. Well these guys have to work, haze or no haze. 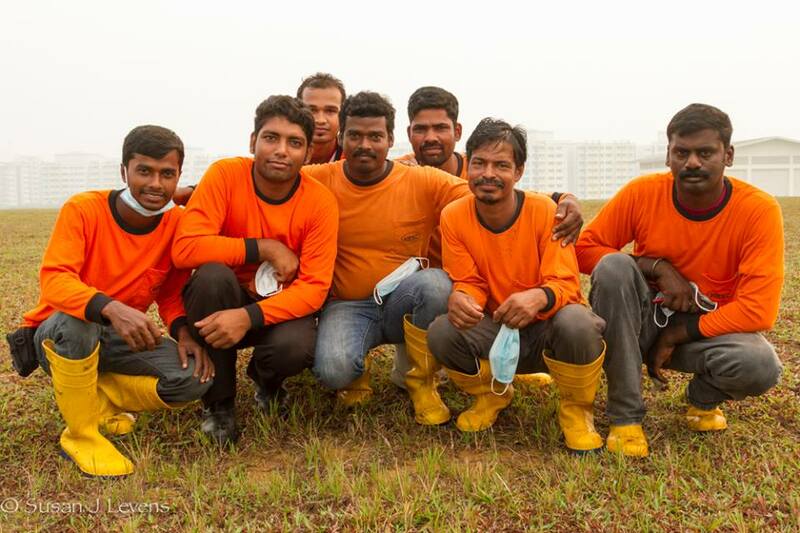 Just when more than half of Singapore is safely hidden in somewhere with AC, these guys goes around their work in the open air – with masks of course. A beautiful city – engulfed in thick haze – caused by an irresponsible neighbor, enough said! 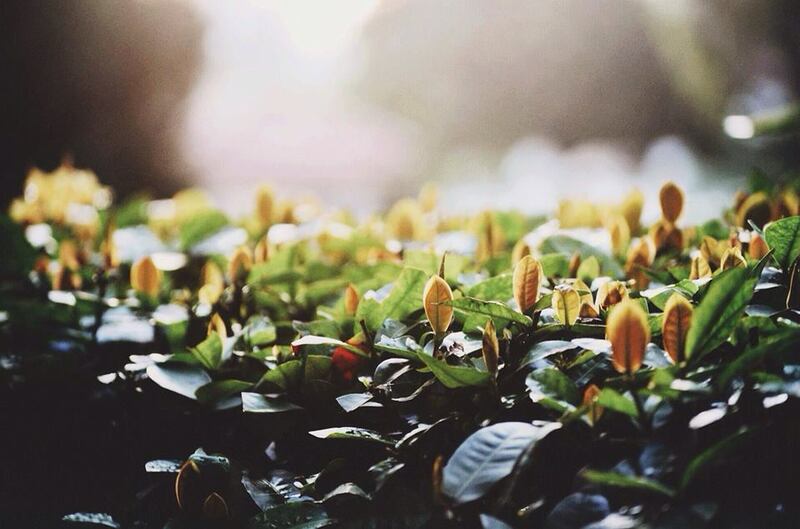 Floral & Faunas remained beautiful in all seasons – including the haze. This image truly captures the theme of “Finding Beauty in the Haze”. Congrats Nicole! You have WON a Tenba Camera Bag from Serial iTech (Tamron Singapore)! – Editor AL. 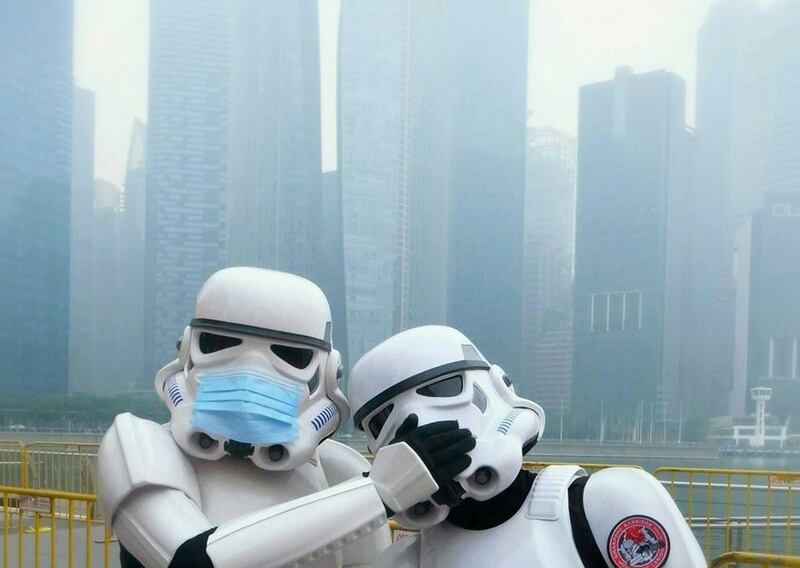 This image captured the spirit of Singaporeans who are making the best out of every situation – even during haze season. Nothing stops in their tracks and life goes on. A timely and nice capture, Good Job! Congrats Chui Lian! You have WON a Velbon Lens Strap from Serial iTech (Tamron Singapore)! – Editor AL. Living among the haze is already a challenge, finding the beauty in the haze is no simple task either. 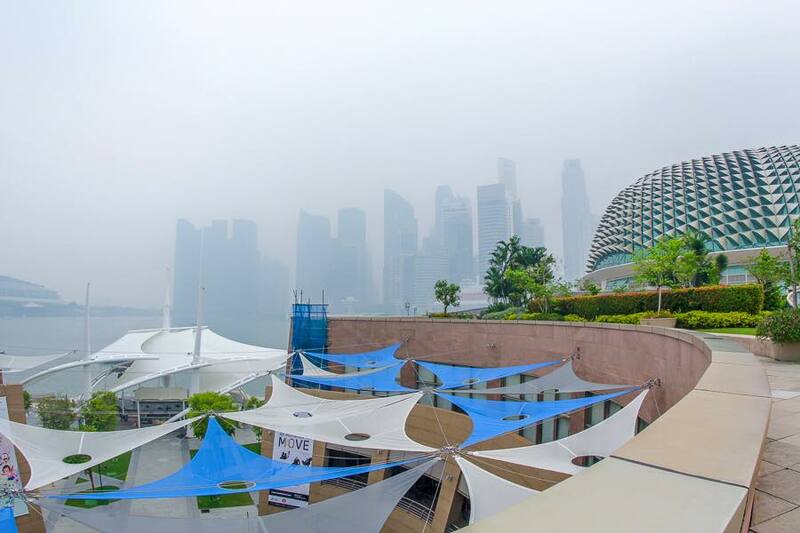 This image had captured the beautiful and also the ugly side of the haze pollution of Singapore. We love the moody feel and the uneasy calmness of this image. Good job Siow Leng! Congrats! You have WON a Velbon Mini Tripod from Serial iTech (Tamron Singapore)! – Editor AL. Special Thanks to Seria l-Tech (Far East) Pte Ltd. for sponsoring the prizes! OK, that’s me trying to survive the haze. This entry was posted in Featured Photographers, Featured Photography Groups, Featured Photography Merchants, Photography Articles & Videos, Photography Contests and tagged Featured Photography Group, haze, Photography, Photography Contest, Pink, Pink Photographers SG, Pink Submissions, PPSG, Tamron Singapore. Bookmark the permalink.